Rare 1965 Ford Mustang, VIN No. 00002, spent its early days in Whitehorse, Yukon. There's a Canadian connection to a rare Ford Mustang scheduled to be sold. A 1965 Ford Mustang with the serial number 00002 is recognized as the first Mustang hardtop to receive a Vehicle Identification Number and will be sold at the Dana Mecum's 29th Original Spring Classic at the Indiana State Fairgrounds, May 16-21. Bob Fria is the 14th owner and restored the Caspian Blue Ford. Along the way, he discovered the history. Oddities included prototype sheetmetal stampings and welds unlike those found on later Mustangs, according to Mecum’s website. 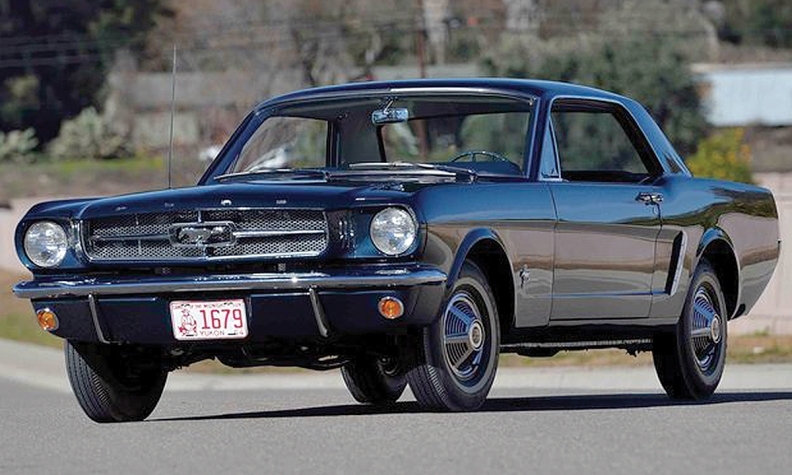 Fria, who eventually wrote a book about the car, learned that between 150 and 180 pre-production Mustangs were built between Feb. 10 and March 5, 1964. The one he restored was originally scheduled for early assembly to allow time for shipping by rail to Brown Brothers Ford in Vancouver. But the six-cylinder, three-speed stick with 13-inch tires ended up being shipped in error to Whitehorse Motors Ford in Whitehorse, Yukon. The car is billed as the auction’s main attraction and will hit the block on May 20. Some websites have predicted the car will sell in excess of US $500,000.